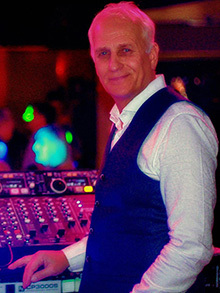 Paul has been a professional full time Dj in Southampton for the last 35 years. He has worked hard to build a first class reputation that makes him a sought after Dj who is regularly recommended and re-booked. Paul is regularly requested for, and is comfortable performing at the 18 to 30 year old birthday parties.However, because of his nightclub experience Paul can keep a dance floor busy with his 90's Old Skool R&B and Ibiza tunes for the 40 year old birthday celebrations.Also, because of his 35 years experience, Paul can cater for the more mature clients and party animals who require Disco,Motown & Soul and the classic cheesy party popular songs from the 50's ,60's , 70's & 80's. Pauls collection also includes ballroom & sequence music. 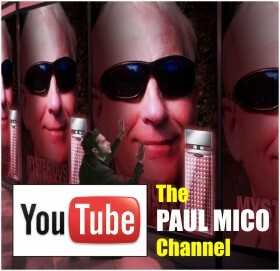 Right throughout his career Paul Mico has been a resident Dj in Southampton’s most popular clubs and bars. But his speciality has always been weddings, corporate functions, dinner dances, Paul is the ULTIMATE party & wedding Dj. In 1995 P&O Cruises approached Paul to be a Dj Entertainments Officer on their new flagship The Oriana. Paul subsequently joined the ship and was honoured to be the first Dj to sail around the world on her. After gaining radio experience on board the Oriana, good friend and local comedian Mike Osman recommended Paul to Capital Radio Group’s Managing Director, Richard Park. Richard was so impressed with the interview and audition it led to Paul working for 2 years on Ocean FM and a brief spell on Power FM. Paul is currently one of the resident Dj’s at Southampton’s exclusive nightclub, The Concorde Club. Paul has more recently begun promoting his own “sell out” Motown & Soul nights using some of the greatest soul singers and motown tribute acts in the country. Paul would like to thank Terry Rolph at Avenue Artistes for his help , guidance.and support throughout his career.